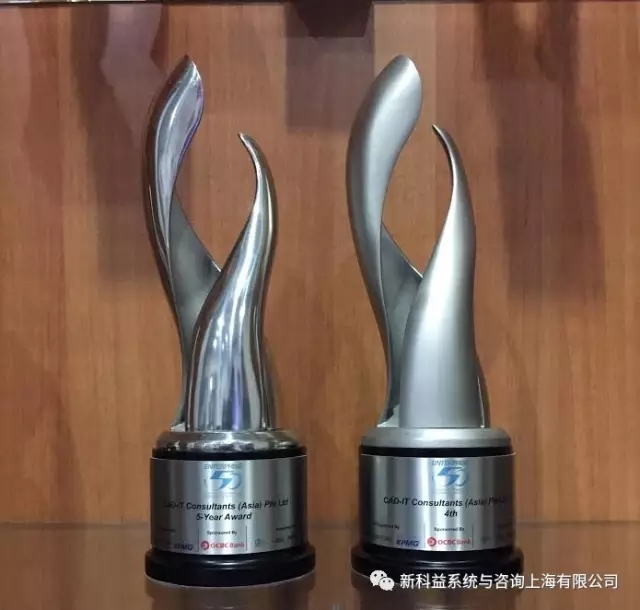 In Focus: CAD-IT secures 4th position and becomes a five-time winner of KPMG's Enterprise 50 Awards. 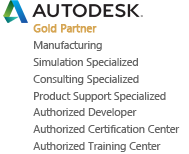 CAD-IT’s resilience through different market conditions and proof that the company is doing things right, consistently and sustainably were demonstrated when they won the E50 Awards five years in a row. Their 4th position in this year’s E50, is a quantum leap from the 25th position achieved for E50 2015. A remarkable feat indeed! 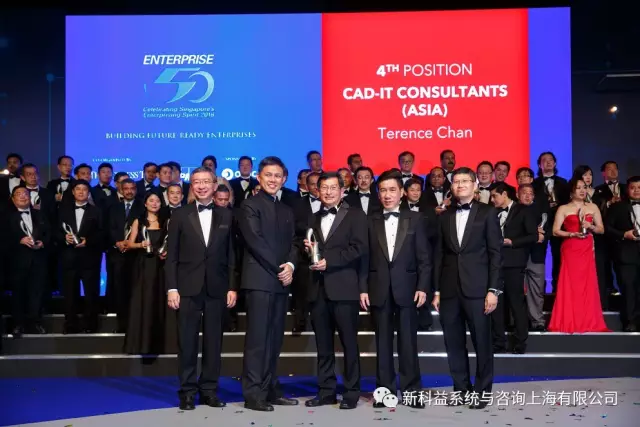 CAD-IT joined 1,200 guests at the Resorts World West and Central Ballrooms, Resorts World Convention Centre, Sentosa at the the 22nd Enterprise 50 Awards Gala Dinner on Tuesday, 15th November 2016 which was graced by Guest of Honor, Minister in the Prime Minister's Office, Mr Chan Chun Sing. Some of the people that made it possible; the CAD-IT Singapore team with the 2 E50 2016 – 5-year and 4th position Awards. 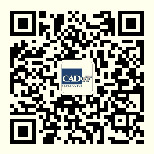 CAD-IT Consultants (Asia) Ptd Ltd first won the Enterprise 50 Award in 2012, as did associate company, Moldfactory Pte Ltd. 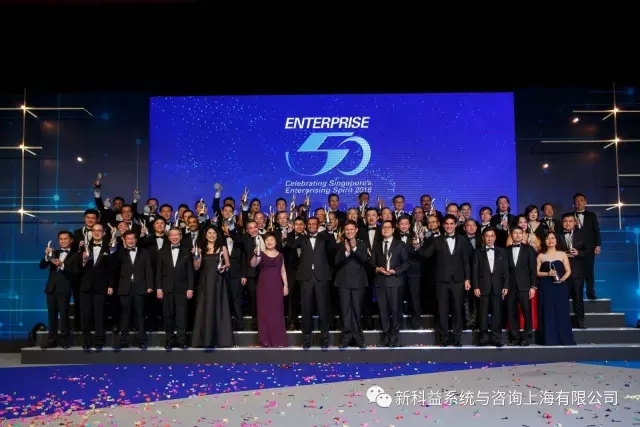 The E50 Awards, first established in 1995, recognises local, privately-held companies who have contributed to economic development in Singapore and abroad. Jointly organised by The Business Times and KPMG, and supported by the Infocomm Development Authority of Singapore (IDAS), International Enterprise Singapore (IE Singapore), Singapore Business Federation (SBF) and SPRING Singapore and sponsored by OCBC Bank, the win formally inducts CAD-IT into an elite group of alumni winners as the cream of Singapore's business crop. Year after year, new E50 companies top the headlines with extensive media coverage in The Business Times and other media. With valuable endorsement and a mark of recognition, E50 companies are the ones to watch in the business community. 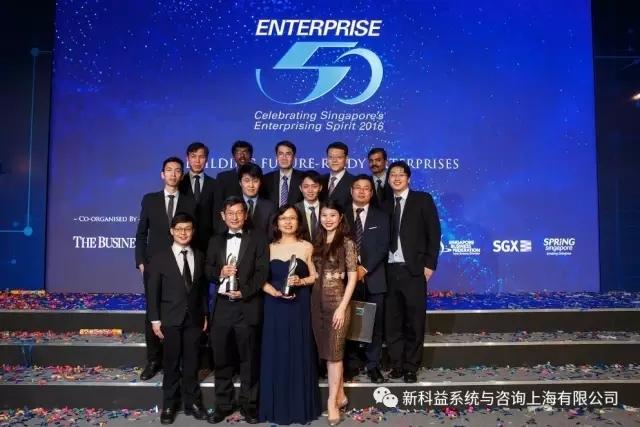 The E50 Awards seeks to recognise the fifty most enterprising privately-held local companies in Singapore.